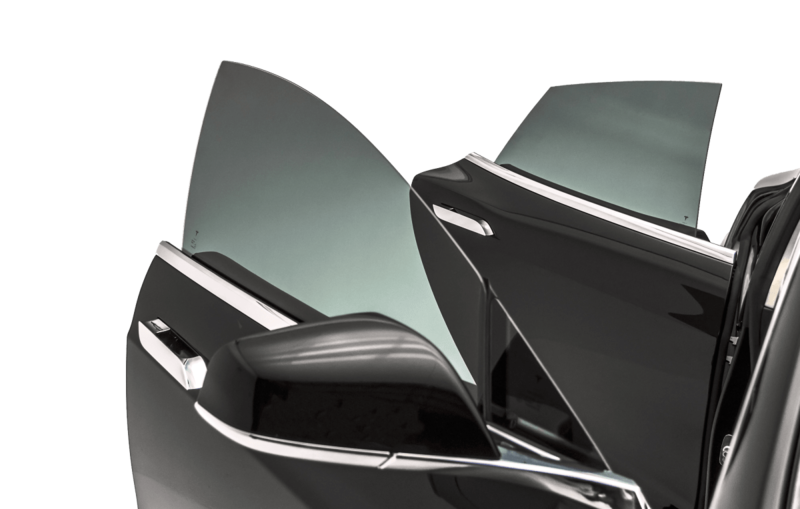 One of the most cheapest and popular features you can add to your car is window tinting. Window tinting adds security, privacy and protection to your vehicle. A thin layer of quality window film which has been precision engineered is applied to the inside of the windows, giving you 100% UV protection keeping your interior from fading and protecting your passengers, as well as a choice of darkness to suit you. We have collected our experience with window film over the course of thousands of installations we have learned to reach the best results. The most important thing is good communication with our clients. Our experience has helped us to choose the best material from the global market of car window films for you. Parents understand how restless and agitated children can get when they are too hot in a car. Window tinting will keep your kids comfortable and protection them against harmful UV rays, the principal cause of skin cancer. Protect your property for the prying eyes of thieves. Car thefts are normally carried out by opportunists who expect the window to smash and fall into the car so they can grab and run. Our window films hold the glass in place preventing them from easily accessing your goods. Keep out those inquisitive eyes so you and your property are safe. Our window films allow privacy from the outside but still allowing the driver and passengers to clearly see out. This also allows lone drivers to feel less vulnerable. Our films are designed not to shatter. Your family and contents of your car are safe in the event of an accident from the risk of bits of flying glass. Our film will hold the glass in place when broken. Our films will block up to 99% of the suns harmful UV rays. It will keep you cool and minimise sun and headlight glare to help reduce the fatigue on your eyes. Also in the winter our films will help retain heat. Factory tinted glass does NOT offer any protection against harmful UV rays. Also factory glass does not prevent glass shattering into the vehicle and injuring occupants. You can achieve these added safety measures by additionally installing a clear or tinted window film to your factory glass. Want a darker/more aggressive look for your lights? We can tint any light from the amber side lights to taillights & headlights. Set up your appointment today.